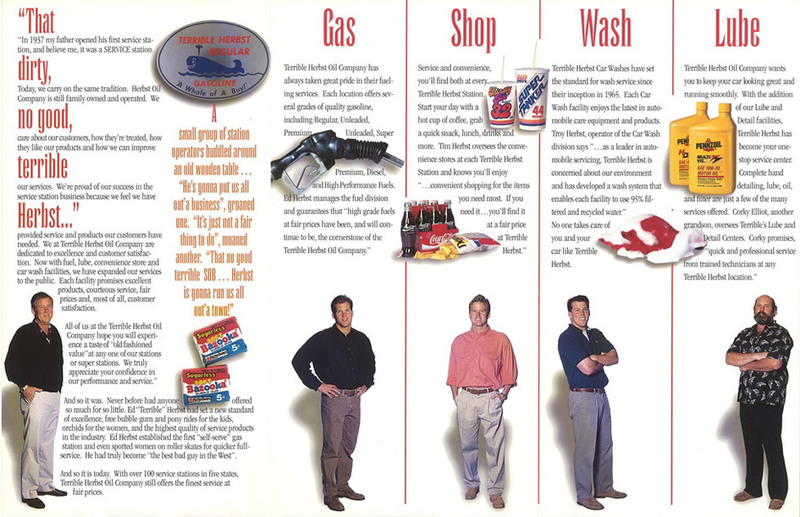 The business traces it roots to the Terrible Herbst Oil Company founded in 1959 by Ed Herbst (grandfather of the current owners), which owns gasoline stations throughout Nevada, California, Utah and Arizona. The stations bear the logo of a "terrible" cowboy wearing a handlebar mustache and black hat. 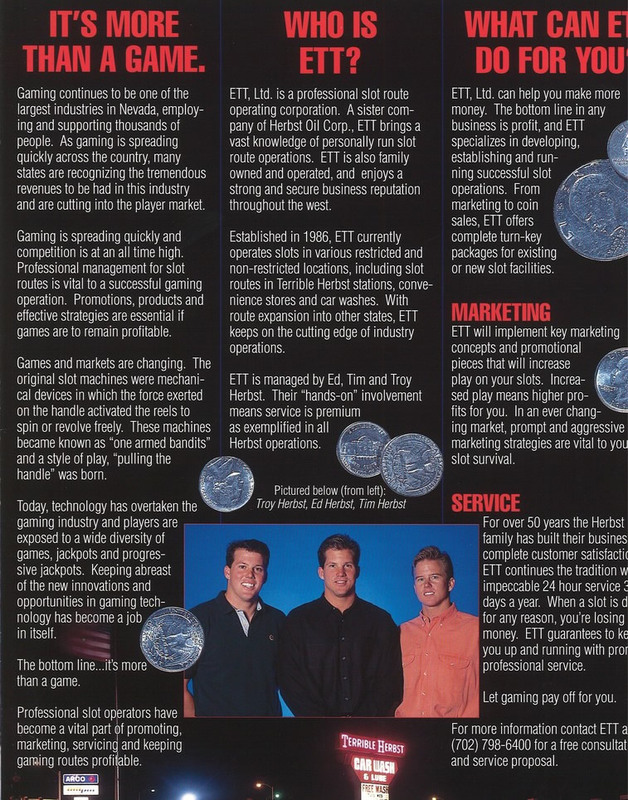 In 1987, Herbst Gaming was formed by brothers Ed, Troy, and Tim Herbst (grandchildren of the patriarch) to service the slot machines in the stations. In 1997, Herbst Gaming opened its first casinos: Town Casino in Pahrump, Nevada and Terrible's Casino and Bowl in Henderson, Nevada. This was followed by the Lakeside Casino in Pahrump in 1999, Terrible's Hotel and Casino (formerly the Continental Hotel and Casino) in 2000 in Paradise, Nevada, and Searchlight Casino in 2003. On December 8, 2002, Herbst Gaming agreed to buy International Game Technology's Anchor Coin 1,100 machine slot routes. In 2005, Herbst Gaming acquired three Midwest casinos in St. Joseph, Missouri, La Grange, Missouri and Osceola, Iowa from Grace Entertainment for $287 million. Grace was a Midwest contractor who had developed racing and casino operations there. In May 2006, Sands Regency announced plans to be acquired by Herbst Gaming. In January 2007, Herbst purchased four casinos, including the Red Hawk Sports Bar, Sands Regency, and Rail City Casino, for $119 million. In 2006, Herbst Gaming also acquired Primm Valley Resorts from MGM Mirage for $400 million. The sale closed on April 10, 2007. In 2007, Herbst Gaming acquired the Sands Regency Casino Hotel in northern Nevada and Primadonna Resorts, located south of the Las Vegas area. 5195 S. Las Vegas Blvd.